Thus, it is critical for a home buyer to understand the precise meaning of the financing contingency, how it relates to applying for a mortgage and the potential ramifications if the financing deadline is passed, or if the loan is not approved. Obviously, this type of contingency is pretty cut and dry... meaning you had better pay close attention to the calendar and make sure you are counting the days properly - business days versus calendar days. In this scenario, the financing contingency addendum states that the SELLER has the right to terminate - but only after an agreed upon number of days passes, AND only after serving notice to the buyer that the seller "may" choose to terminate the contract at any time after delivery of such notice. Thus, if the SELLER does not serve this notice after the specified number of days in the contingency, the financing contingency survives through the remainder of the sale process. Think of this potential notice like the SELLER is waving their arms and asking "Hey... what's up with your financing"? If the buyer has arranged financing and it has been fully underwritten, then the buyer may choose to fully satisfy the financing contingency at that time. If however, the buyer does nothing after (and if) receiving this notice, then they are at risk of the home seller terminating the contract at any time. In my opinion, this scenario serves both parties better. First and foremost for the home BUYER, it's not possible to accidentally waive the financing contingency, as the seller must prompt the buyer, essentially asking for proof of financing and loan approval. 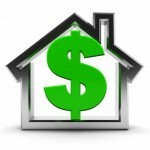 For the home SELLER, it allows the contract proceed to closing - but, should a more attractive opportunity present itself, or if there's reason to be concerned about the financing, they may elect to terminate the contract (after serving the notice), provided the buyer doesn't satisfy or waive the contingency. Regardless of the type of Purchase & Sale Contract and financing contingency, and no matter if a bank, mortgage broker, or other type of private lending is used, it is positively critical that both buyers and sellers understand all terms of the contract. When entering into a contract to purchase or sell a home, be sure to read the terms in full, and ask your real estate agent to explain the terms. In most states, by law, real estate agents are forbidden from providing "legal advice." However, they can and should be able to explain what the contract terms mean without providing you personal legal advice. More importantly, while it is the agent's job to keep a close eye on the contract timeline, two-way communication is key. Therefore, if you are a home buyer, and you grow concerned about your home loan financing contingency, be sure to communicate with your agent and lender accordingly. What Documents are Needed When Applying for a Mortgage?